VIA Institute USA Has Arrived in INDIA! Introducing The Premier, ‘Lead with your strengths’ Program. 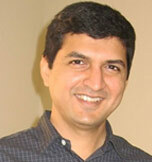 Sunil Tapse was leading subsea Intervention for Major Oil exploration Projects in Asia. He has mentored and coached many individuals during his career, and facilitated organisation’s objectives and delivered successful projects. Sunil has a degree in Business Finance from Cambridge University with distinction and is certified as Master Trainer/ COACH for India for VIA & Authentic Strength Advantage (ASA) programs. 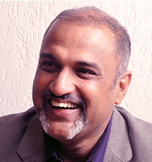 Siddhesh Paralkar (Sid) has led Transition and Transformation programs for IT and IT services organisations for over 20 years in various capacities including consulting, project and program management and ISO Audit. His industry experience includes working with leaders in Food and Beverages, Energy and Utilities, Banking, Financial Services, Insurance and Telecommunications. He has a Masters in Business Administration from SIBM and is a Master Facilitator of VIA & ASA programs.